Schleich are just the best at making model animals for kids. They have just sent us 6 new horses to review which are just adoreable. 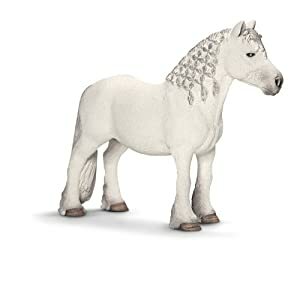 These are brand new additions to their horse range and all have braided manes. They have lots of realistic details and my daughter has had so much fun playing with them.Gymkhanas, wild ponies , pony families, horse shows and so on. She loves ponies. Toys like this are just great because they encourage a child’s storytelling and imaginative play rather than just ‘doing it for them’ . You can see the full range of horses here . Perfect for pony mad kids and have years of play in them. My 8 year old son still plays with Schleich toys we bought him at 3 -lots of play potential in these toys and they are robust. Love these, we wanted to review them too actually, but you must have pipped us to the post 🙂 My kids play fro hours with little figures like this!